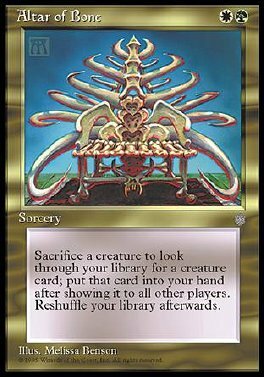 As an additional cost to play Altar of Bone, sacrifice a creature. Search your library for a creature card, reveal that card, and put it into your hand. Then shuffle your library.